- Keep all your cosmetics, jewelry or hair accessories neat, organized and at hands reach. 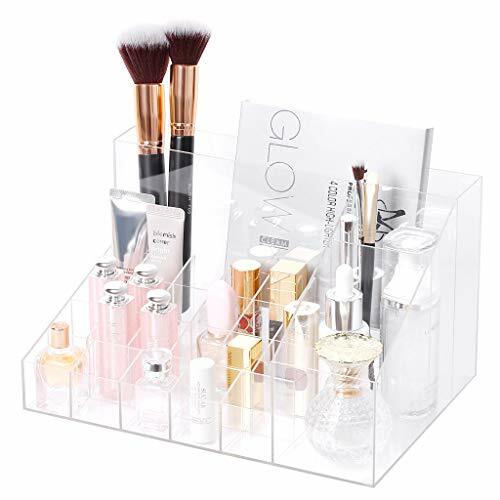 - Spacious compartments hold most palettes, skincare, jewelry, perfume and brushes. - 23 slots is perfect for your lipstick, lip moisturizers, nail polish and much more it. - Tall back compartment is more clearly show your slipstick, brushes, palettes and bottles. - Great gift for women, girl and makeup lovers.